James JC Curleigh wants to make Gibson great again. And he’s relying on the brand’s rich history to build a solid foundation for the future. Watch our quick chat with the man in the video above. Getting our grubby hands on Seymour Duncan’s new pedal was good. But finding out the person it was designed for, Periphery’s Mark Holcomb, was going to demo the reverb/delay stompbox for us was priceless. Besides that jaw-dropping Green Lemon Fade finish, this 60th anniversary Les Paul is, Gibson claims, a “painstakingly accurate remake of an original ’59 Burst”. Find out more about the guitar in our video above. Wise with his words and inspirational with his sustainability campaigns, the Taylor Guitars founder spoke to us about the importance of creating sustainable systems for musicians and manufacturers alike. What you’re hearing in the video above is a Friedman stack dimed – but with this Boss device, your ears don’t have to bleed in the pursuit of excellent tone. But the Tube Amp Expander is more than a load box; it’s also a bona fide effects and cab sim unit. 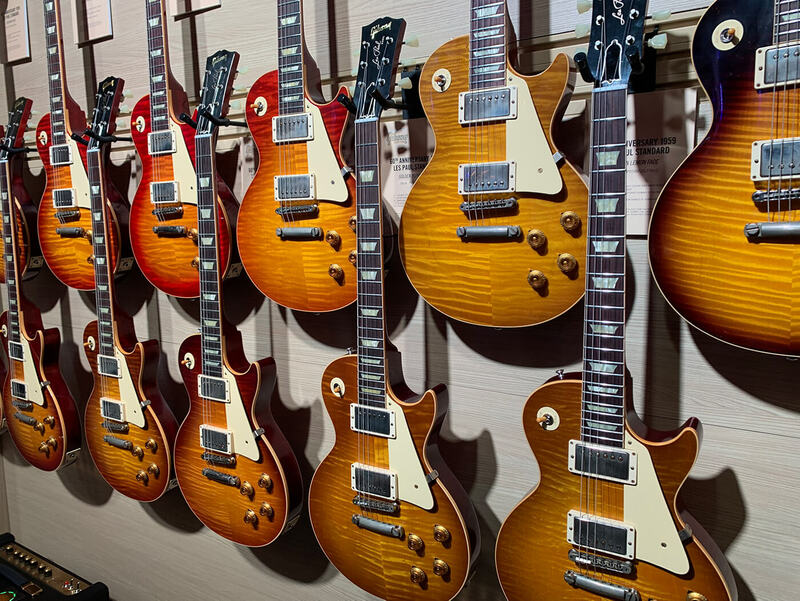 Check out more new releases from NAMM 2019 here.